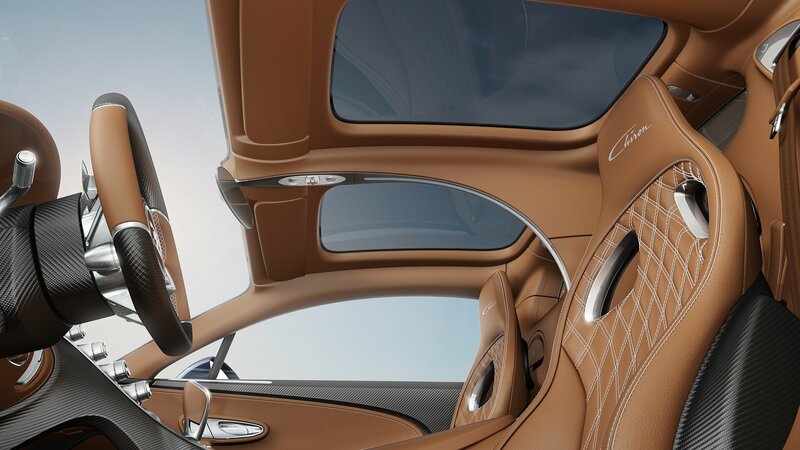 Bugatti is giving occupants of the Chiron a clear view of the sky. With immediate effect, Bugatti customers who want to enjoy sunlight from above in their new Chiron can do so with the “Sky View” option. This consists of two fixed glass panels in the roof of the vehicle, each 65 cm long and 44 cm wide, above the driver’s and passenger’s seats. These panels have a newly developed laminated structure with thin glass and four intermediate layers. Bugatti plans to present the Chiron with the new Sky View at the Monterey Car Week in California at the end of August 2018.